Carrie Berk Shares her Ask Emma Inspired Advice + GIVEAWAY | YAYOMG! 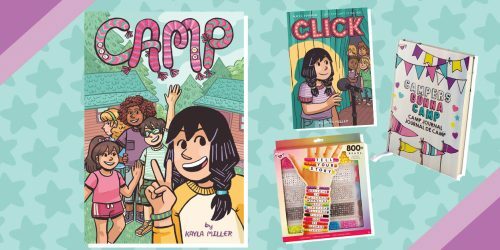 Note: We teamed up with little bee books for this giveaway. They provided us with complimentary copies of Ask Emma and Ask Emma: Frenemies for review and giveaway purposes. All opinions are our own; we were under no obligation to give a positive review. Everyone’s favorite middle school advice blogger, Emma Woods, is back for another amazing look into the highs and lows of surviving middle school. 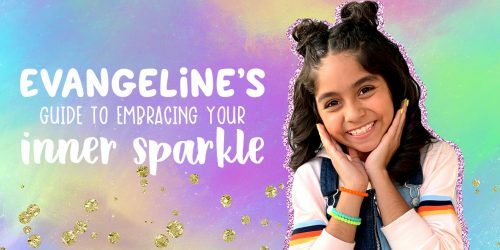 From handling bullies to making cute style choices, Emma takes to her blog to dole out advice for all the students at Austen Middle. In the first book, Ask Emma, we see that being an advice blogger isn’t always picture-perfect. 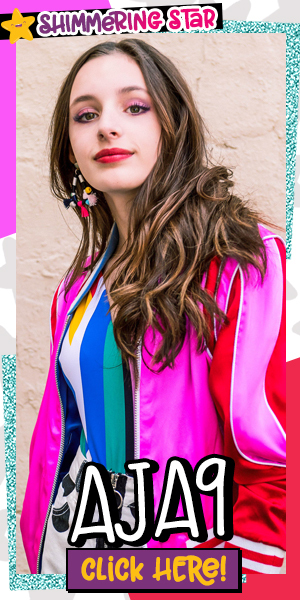 When she first launches her advice column, Emma receives fun questions about crushes, studying, friendship, and style. As her blog’s popularity grows, Emma is faced with more challenging questions about how to postpone taking tests and getting out of class. Someone has even taken to writing hurtful, anonymous comments about the students. In the second book, Ask Emma: Frenemies, Emma’s blog is thriving once again. She learned so much and is back at her advice-giving duties in full force. This time around she’s facing a few other challenges, this time in the form of student council struggles, first crushes, and friend drama. Intrigued? You’re in luck – we’re giving away copies of BOTH books! Emma Woods is used to speaking her mind. She does it every day on her blog, Ask Emma. When her classmates at Austen Middle have a problem, Emma has an opinion on how to fix it. So when she learns her crush, Jackson Knight, is going to Washington, DC, to attend the National Student Congress, Emma is upset that she wasn’t picked as a representative. When Principal Bates tells Emma the NSC needs students who are calm, cool, and collected—and neutral—Emma vows to be just that for forty-eight hours to prove to Mrs. Bates that she can do it. Emma isn’t the only one who’s great at dishing out great advice. Ask Emma author Carrie Berk is pretty great at it too! 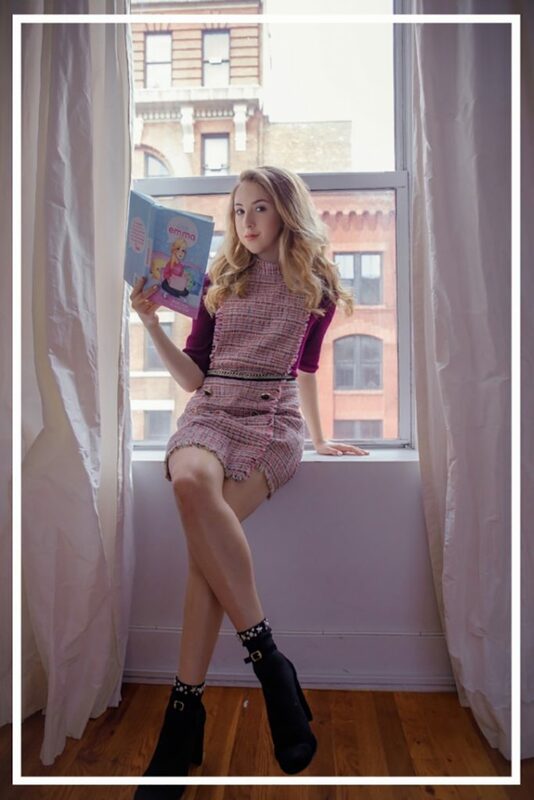 She’s a sixteen year old author, influencer, and lifestyle blogger who’s been through her own share of middle school ups and downs and has the experience to guide you through life’s tough moments. A few weeks ago we asked our Instagram followers to submit questions via our story for a chance to have them answered by Carrie. Read below for her sage advice for surviving friendship, parents, and middle school! Do you have any tips or advice on how to tell the difference between a fake friend and a real friend? CARRIE BERK: Is your friend judging you? Does she always cancel your plans to hang out? Do you feel like she ignores your accomplishments and instead brags about her own? If you answered “yes” to any of these questions, then it might be time to consider whether this person is a true friend. Your pal should lift you up instead of put you down. Find your tribe, a group of friends that applaud your achievements and always have your back. I’m not saying it’s easy to find the “perfect” friend, but with time and patience, you will find someone who complements you best. All my friends have phones, but I’m not allowed to have one until I’m 16. I really want one. What should I do? CARRIE BERK: Parents are often afraid that once their children have a phone, they will become fully immersed in the world of social media and the dangers that come with it. If you are trying to convince your parents that you want a phone earlier, instead of begging, show them how responsible you can be in your day-to-day life. Offer to walk the dog. Postpone your plans with friends for a study sesh. Set the table for dinner. Once you feel like you’ve proven yourself, confront your parents and explain all the steps you’ve taken to be more responsible. Tell them that you’d be just as trustworthy on social media if they allowed you to have a phone. You could even propose that your mom monitor your Instagram account for the first few months or so. They still aren’t budging? No need to throw a tantrum. Keep your cool and continue to earn their trust. Who knows…they might just change their minds. I’m trying to get more involved at school. Do you have any advice on how to pick an after-school club or activity? We hope Carrie’s advice will come in handy as you make your way through your own school struggles. If you’re in need of more wisdom, be sure to pick up the Ask Emma series! 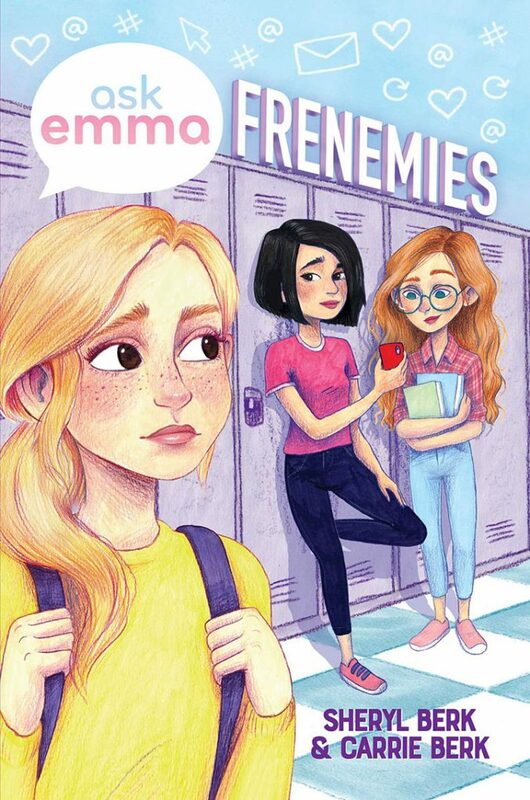 The second book, Frenemies, hits shelves today from little bee books. You can also enter below for your chance to win a copy of BOTH books in the series. 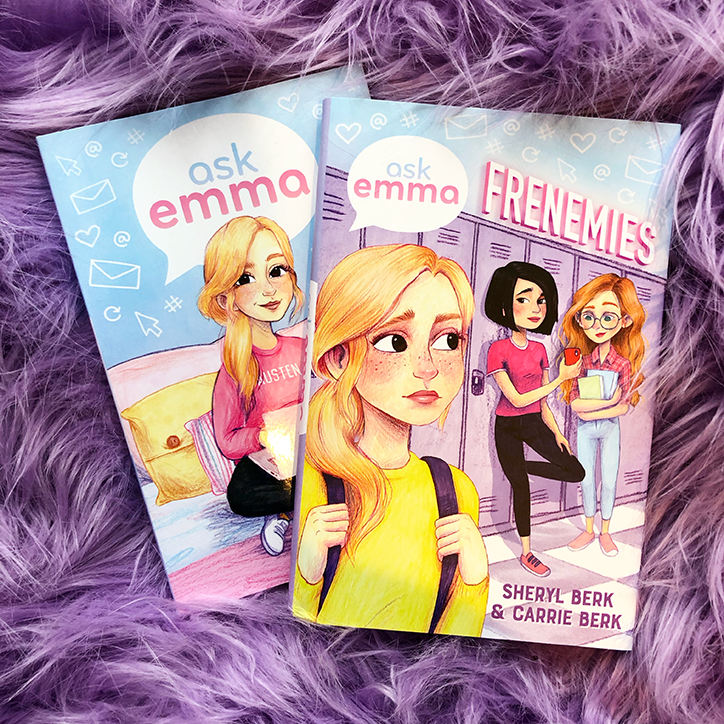 One lucky winner will receive a prize pack that includes ONE (1) paperback copy of Ask Emma and ONE (1) hardcover copy of Ask Emma: Frenemies by Carrie Berk and Sheryl Berk. Prizes generously provided by little bee books. You must be 18 or older to enter. If you are under 18, please have a parent or guardian enter for you by filling out the form below by February 5! Giveaway begins on January 29, 2019 at 03:00 pm ET and ends on February 5, 2019 at 11:59pm ET. Open to US residents ONLY. Please, only ONE entry per person. Want to know more about Carrie Berk and all of her incredible accomplishments? Check out our interview with Carrie where she dishes on dealing with bullies, starting her own blog, and more!